RICHMOND, Ky. – Looking to get back on track, Eastern Kentucky will host Southeast Missouri on Saturday at Roy Kidd Stadium. Kickoff is scheduled for 6 p.m.
Saturday is EKU’s Maroon Out game. All fans are encouraged to wear maroon. The game, sponsored by Madison County EMA-CSEPP, is also the First Responders Game, Hall of Fame Game, Tackle Cancer Game and Family Weekend. The Colonels go pink this week for the Tackle Cancer Game. Head coach Mark Elder and the team will do their part to raise awareness for the fight against cancer by wearing pink during the game. Donation buckets will be placed on the concourse to raise money for the American Cancer Society. Eastern Kentucky (1-3, 0-1 OVC) suffered an overtime loss at Tennessee Tech to begin Ohio Valley Conference play last week. Bennie Coney broke his own school record with 464 passing yards. He completed 32-of-49 passes and tossed three touchdowns. Two receivers eclipsed the 100-yard mark. Devin Borders caught nine passes for 121 yards and a touchdown. Ryan Markush caught seven balls for 104 yards and a touchdown. The Colonels out-gained Tech 559 to 446. Southeast Missouri (2-3, 2-0 OVC) is riding a two-game winning streak to start conference play, including a 21-14 home field win over No. 13 Eastern Illinois this past weekend. The Redhawks edged Murray State, 17-16, on the road the week before. SEMO has just the eighth-best scoring average (20.2 ppg) out of nine OVC teams, but the Redhawks are third in scoring defense (24.4 ppg). Southeast has struggled against the pass, allowing 278.6 passing yards per game this season, which also ranks eighth in the league. EKU is second in the OVC and 24th in the nation with an average of 268.8 passing yards per game. The Colonels average 408.3 yards of offense per game, second in the OVC and 38th in the nation. Eastern Kentucky had six sacks at Tennessee Tech. The Colonels are second in the conference and 14th in the nation with an average of 3.0 sacks per game. Jeffrey Canady had a career-high 17 tackles at Tennessee Tech, the sixth most in one game by an FCS player this season. He is second in the OVC and seventh in the nation with 11.3 tackles per game. Jared Sanders totaled 229 all-purpose yards at Tennessee Tech. He leads the conference and is 16th in the nation with an average of 146 all-purpose yards per game. EKU leads the all-time series with Southeast Missouri 23-3. 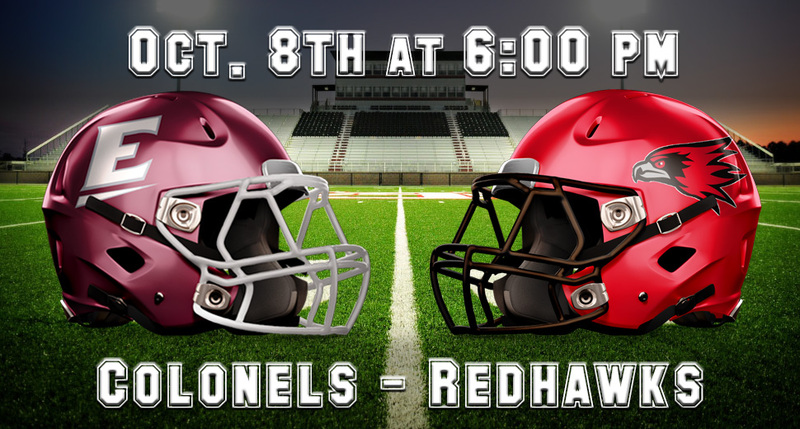 The Colonels are 11-2 against the Redhawks in games played in Richmond and have won five straight versus Southeast at Roy Kidd Stadium. The two teams first met in 1990 and Eastern won the first 12 match-ups in the series. SEMO’s first two wins came in 2002 and 2003. Since then, the Colonels have won 11 of the last 12 meetings. EKU has won five straight against the Redhawks by an average score of 33-12.